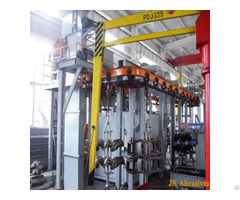 Buy Pass-Through Monorail Blasting Machine from JX Abrasives Manufacturer in China, standard structure, wide applications, long service life. In marine industries and ship building industries, steel plates are used in bulk. These steel sheets some time have contamination, rust and other impurities on the surface. 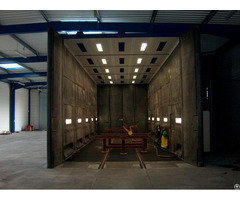 Thus to remove these contaminants from the surface, we provided complete line surface treatment systems. 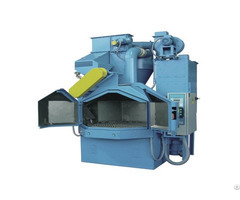 Complete line consists of Blasting+Painting+Drying Operation. 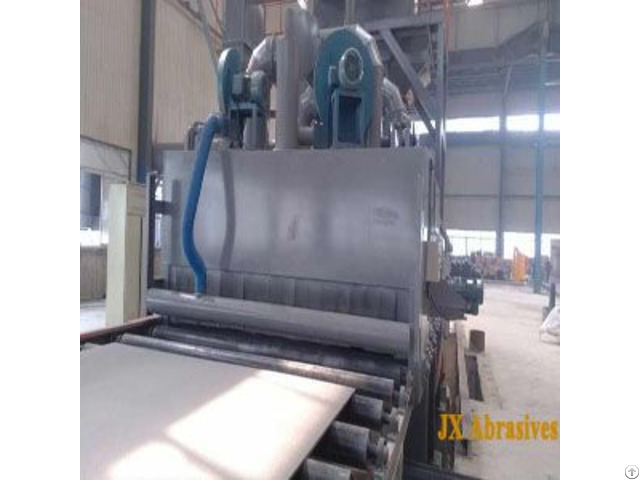 Immediately painting of blasted plates, reduces the chances of oxidization of the plate, which results in higher safety factor. This machine is not a standard machine, any parameters can be customized according clients’ requirements, so any further information please contact with us, our skilled engineer team will give you the most professional and cost-effective solutions.